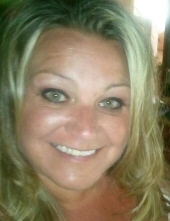 PITTSFIELD- Michelle Marie Duplisea Goodridge, 47, died peacefully surrounded by family on Tuesday, January 15th in Bangor. She was born on January 1st, 1972, in Waterville, Maine, the daughter of Gerald and Beverly Duplisea of Burnham. She attended MCI and married Victor Goodridge on November 22nd, 1990. Michelle was a great talent in the kitchen, where she loved cooking for her family every day. She found great joy in the little things; her favorite pastimes were watching the birds outside her home, and taking rides with her son in his truck. She is survived by her husband, Vic Goodridge; her son, Teran Goodridge, who she loved more than anything in the world; her parents, Gerald and Beverly Duplisea; brothers, Michael Duplisea and wife Kelly Bickford, and Matthew Duplisea; sister, Michilynn Duplisea-Goldman and husband Michael; niece, Lila Luv Duplisea, who Michelle always called “Her Pretty”; two nephews, Riley and Rowan Nelson; her puppy Sully and her very close friend, Johnny Pifalo from Boston. A private gathering will be held by the family. In lieu of flowers, memorial donations may be given to the family to help with final expenses: c/o Beverly Duplisea, 55 North Main St, Burnham, Maine, 04922. To send flowers or a remembrance gift to the family of Michelle M. Duplisea Goodridge, please visit our Tribute Store. "Email Address" would like to share the life celebration of Michelle M. Duplisea Goodridge. Click on the "link" to go to share a favorite memory or leave a condolence message for the family.